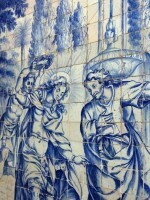 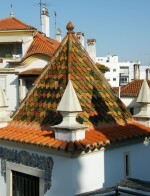 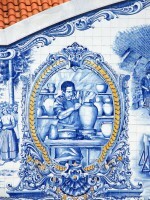 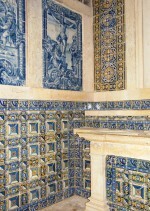 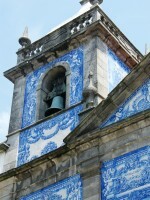 The tile culture of Portuguese azulejos is something no visitor to Portugal can fail to notice. 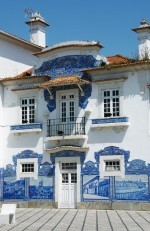 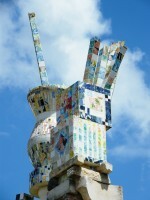 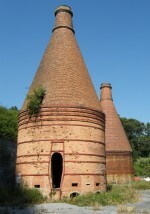 Tiles are everywhere and are used with an exuberance that is matched nowhere else in Europe. 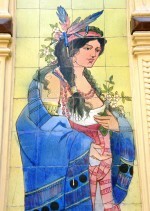 Tiles are widely used in and on churches, public buildings, shops and houses and they show an enormous variety of designs and pictorial images. 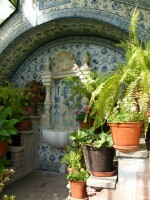 Here are some examples seen on a recent tour. 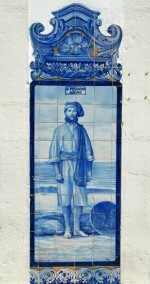 Place cursor on images to see captions.